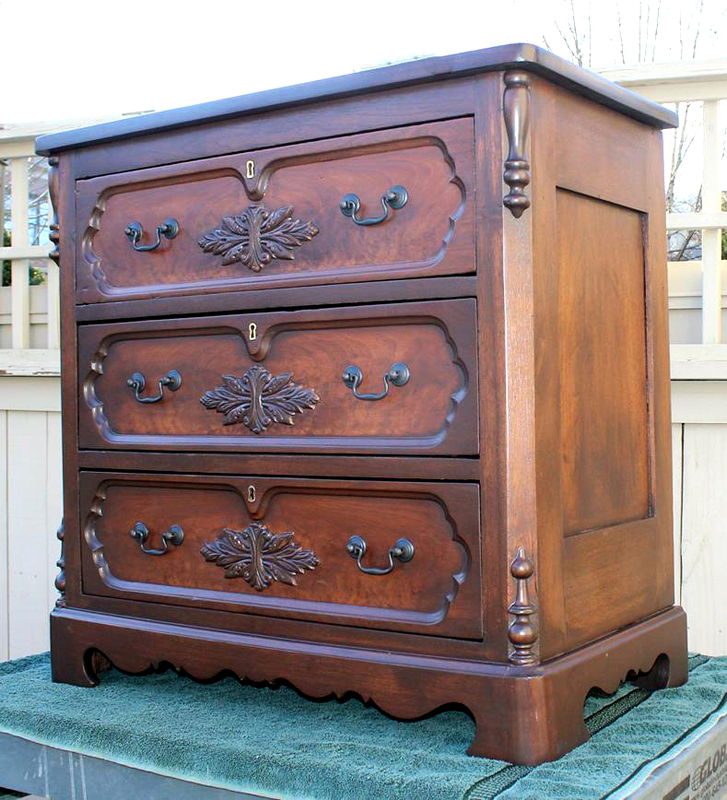 A lot of love and hard work went into this gorgeous antique chest transformation by Larry of Pops Restorations! Larry used Spiced Walnut Oil-Based Wood Stain and sealed this beauty with High Performance Top Coat in Satin. See the full transformation here: http://bit.ly/16JjOPL. You can find your favorite GF products at Woodcraft, RockIer Woodworking stores or Wood Essence in Canada. You can also use your zip code to find a retailer near you at http://bit.ly/1pEtZMu.